At this point, there isn’t much left to say about The Year in Movies 2011 Edition. It may have been a down year for Hollywood – at a year-end party, many in my local critics group, for instance, mistakenly characterized it as a bad year for movies because of this – but, looking at this list, it is hard to remember a year with so many masterpieces. (Credit to that same local critics group for awarding my best film of the year as the most overlooked. Deservedly so.) And, considering further the films that didn’t make this particular list, it seems safe to suggest that 2011 was actually quite miraculous. Ambitious films continue to be produced; even if they are locked away for years and arrive in a somewhat fractured condition. Then again, it could be precisely this fractured impulse which drives many of the best movies being made today. Although many of these films arrive at this through different means, pristine, perfectly polished works evoking past eras and the Hollywood “ideal” seem of less and less interest. Instead, this movies on this list deal with a sort of brokenness and disunity, often operating not only on the level of narrative, but also holding a deeper relation to questions of art, artifice, form, and life. Perhaps this is what led this critic to dismiss several acclaimed efforts to restore the picture-perfectness of the past. This isn’t meant as an inherent rejection of nostalgia, but of how the past becomes filtered through movies into our present moment. The best films this year didn’t show a desperate longing to reunite with a golden age, but of the past’s ability – through certain fracture – to explode the current moment and bring to it a vibrancy of past moments, characterizations, and ideals. For the sake of sanity, I have limited this list to feature films. In some ways, I already regret having done this. 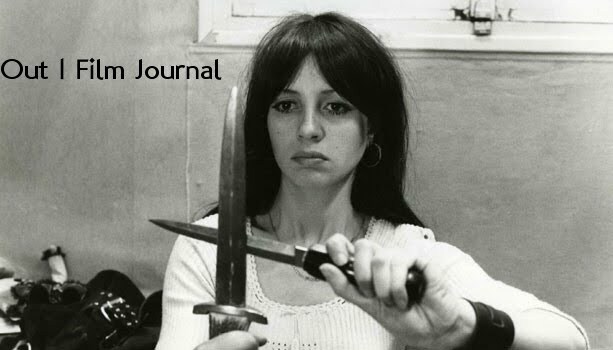 Significant short films continued to be made – largely in “avant-garde circles" – and they deserve further recognition. Having attended both Ann Arbor and Views in 2011, and becoming more and more enmeshed with experimental film as part of my program of study, I feel more equipped to say something about these works which still don’t get the attention they deserve. But I still have a difficult time judging hand-processed 16mm films and Season of the Witch. Because of this, I have also made a (shorter) list of best short films. The list is somewhat conflated given when I saw the films (some from Views 2010 – which I did not attend – premiered in Columbus in 2011; and then I attended Views 2011, so those are included as well). If this is confusing, I apologize.